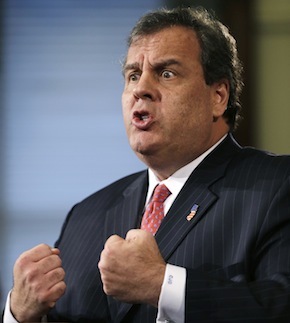 Excuse us for living, but it is time for New Jersey to move on, post-Christie. Those who have objectively watched Chris Christie in action as our Governor for the past four years saw this scandalous fiasco dubbed “Bridgegate” coming. It was only a matter of time. Governor Chris Christie appearing at one of his many Town Hall Meetings. He is known for his combative style at such events which has added to his fame. This one was in Union City, NJ. It is not my intention here to review and analyze the facts as they have unfolded about Bridgegate and other on-going inquiries. I’ve expended about as much time and energy and space here (six Christie posts) on Christie’s shenanigans over these years as I can stand. At this point, the local and national news media have well versed the citizens of New Jersey and the nation about this ever growing political debacle. – – So no one needs a rehashing of this news story here…However…. In an August 13, 2013 e-mail ( two weeks prior to the September 9 lane closures & traffic pictured above), “Time for some traffic problems in Fort Lee,” wrote Christie’s Deputy Chief of Staff Bridget Anne Kelly to David Wildstein, Christie’s Director of Interstate Capital Projects at the Port Authority. Governor Christie on his way in to Fort Lee’s Municipal Building to apologize to Mayor Mark Sokolich. I do owe a brief explanation to the global audience of this website that stretches from Canada to Latin America, Europe, Asia, and Australia. Americans, feel free to skip this paragraph! 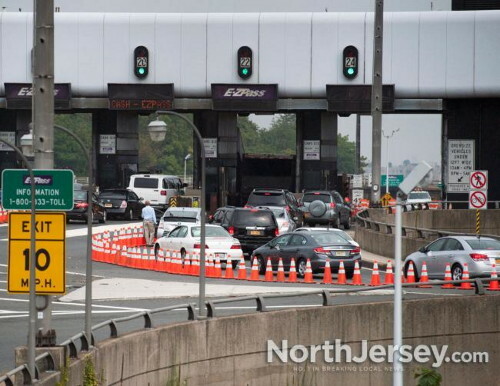 A simplified overview is that Republican Governor Chris Christie of the State of New Jersey &/or his staff members for four days closed two of the three auto lanes exiting the town of Fort Lee, New Jersey, immediately going onto the George Washington Bridge to New York City. This was done September 9-12, 2013, causing an immense traffic jam in Fort Lee and hardship to children on the opening days of school as well as people commuting to work and emergency vehicles. The act was seen as one of retribution because the Democratic Mayor of Fort Lee, Mark Sokolich, did not endorse Governor Christie running for re-election in the upcoming November 2013 election. The scandal has grown, suspecting political blackmail in other towns for similar political endorsements, in addition to political pressure on at least one town to approve a multi-million dollar building project and possibly withholding federal superstorm Sandy money for political reasons. At this point the New Jersey Legislature and the U.S. Attorney’s Office are trying to get at the truth of these matters; i.e., Did Governor Christie order the lane closings or did his staff act unbeknownst to Christie? 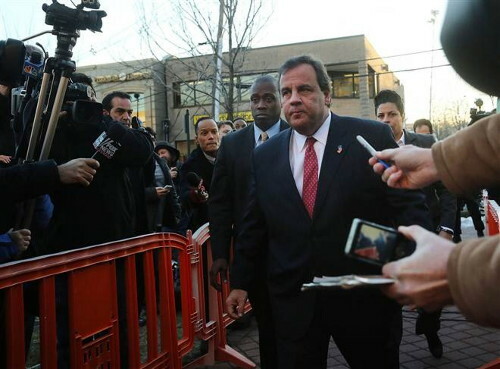 – -And so on with other scandals related to Christie as they unfold. A photo capturing Governor Christie’s belligerent, bullying Christie style. Then last June 2013, I observed that Christie was getting carried away with himself, out of control. The first incident was the first week of June. Christie orchestrated a special, separate election in October to replace our deceased U.S. Senator Frank Lautenberg. He did so to avoid having the popular Democrat Corey Booker running for the open seat on the same ballot in November when he was scheduled to run for re-election as Governor. Christie’s egotistical strategy was to run his winning number of votes up as a Republican without a popular Democrat on the ballot with eyes toward a presidential run in 2016. The second red flag incident occurred in the last week of that same month of June 2013. Governor Christie and Senate President Stephen Sweeney (Democrat, Gloucester County) conspired to propose legislation to dissolve the Rutgers University Board of Trustees & empower the Governor to appoint all 15 members of the remaining Rutgers Board of Governors. Fortunately, the legislation was stopped by cooler heads prevailing in the State Senate. It was an obvious act of revenge against the Trustees who in June 2012 had put a halt on the Governor’s reorganization plan to give the Rutgers-Camden campus over to Rowan University, both located in proximity in southern New Jersey. It was clear to me that Governor Christie was totally out of control with this attempt at revenge. This time Chris Christie had gone too far, taking “one step over the cliff,” as they say. And so, in my opinion, the famous Watergate questions, “What did Christie know and when did he know it?” while legally warranted, are not necessary to establish culpability in Bridgegate. Governor Chris Christie is guilty of malfeasance (official misconduct, violation of the public trust) in the conduct of official business in the Governor’s Office. One staff member can be a scoundrel. But two and three and four or more? I smell a skunk. He physically enters his Office every day with, “How’s my New Jersey?” as the premise for himself and his staff. That includes superstorms like Sandy and it includes a four day traffic jam in Fort Lee at the George Washington Bridge as well. Chris Christie has violated his oath of office as Governor to uphold the Constitution of the State of New Jersey. There are only two choices; resign or impeachment. “Plausible deniability,” that Watergate strategy that the President did not know what his staff knew, will no longer work. This is not Watergate of 1972. 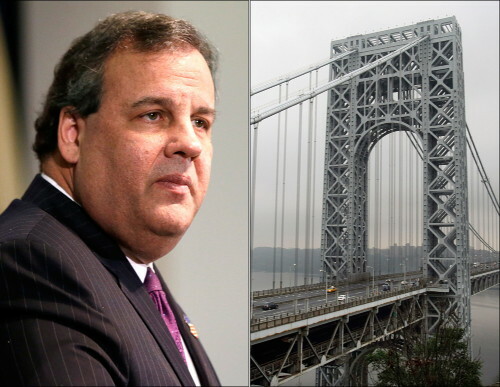 Bridgegate of 2013 cannot wait the drip, drip, drip of facts to come out now that we have the fast paced news cycle of cable TV and on-line websites. It is already time to go, Governor Christie. ***footnote: As Governor, Chris Christie assumes powers and takes action on things nobody knew a New Jersey governor was empowered to do constitutionally. Putting that question aside, here is a partial list of Governor Christie’s record thus far: giving away the $11 million State owned NJN TV to WNET in New York City, not fully funding New Jersey’s education budget, incorrectly filing Race to the Top federal education grant losing $400 million, halting the construction of the new Hudson River railway tunnel, creating turmoil with the appointment of State Supreme Court Justices and lower court appointments as well as Commissioners & Prosecutors, replacing members of the Highlands Commission halting preservation of this sensitive environmental area, adopting into law a quick fix to State pensions and benefits (creating collective bargaining difficulties over benefits), halting progress on the NJ Regional Greenhouse Gas Initiative, including student test scores in teacher evaluations, cutting salaries of school superintendents, a clumsy political restructuring of Rutgers and UMDNJ. Yes, he has been a determined and effective leader in the aftermath of storm Sandy. 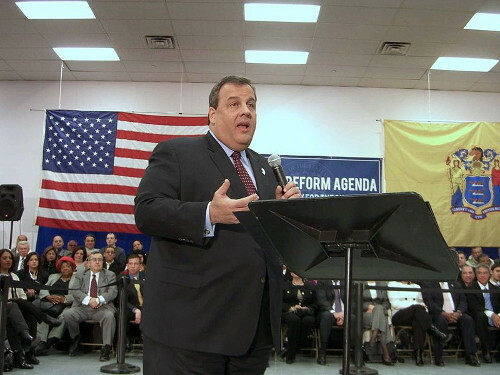 Yes, he successfully capped New Jersey’s property taxes at 2.0%. (with ramifications for municipal, county, and school budgets and teacher salary negotiations). And yes, he expanded Medicaid opting to participate in this part of the Obamacare program (but opted not to create a State Health Insurance Exchange under Obamacare). But his efforts to put our fiscal house in order in terms of a balanced budget are more a temporary fix and overall impression than a responsible program to manage NJ’s debt on the road to future stability and genuine fiscal health. While Christie boasts a balanced budget, now required by law, in truth the State of New Jersey’s debt totals almost defy calculation and comprehension. There is a quote of a $71 billion debt for 2012, counting outstanding bonds & State pension & benefits shortfall. 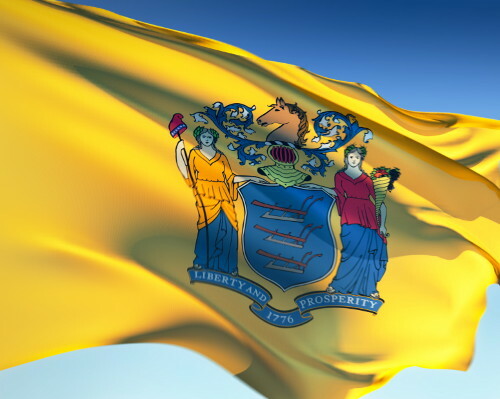 However, there is a whopping NJ debt figure of $281 billion for FY 2012 which accounts for everything from the $54 billion the State owes to the pension fund, post-employment benefits, Unemployment Trust Fund loans & the FY 2013 State budget gap. You can “choose your own poison” as they say! Time to put the Rhino to bed he makes this Independent Conservative cringe! Throw the BUM out! Thank you, Phil, for your customarily well-reasoned thoughts supported by facts. 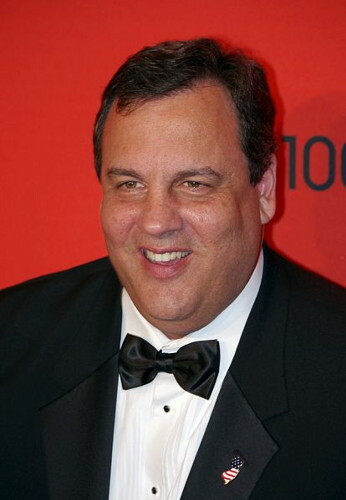 As a born and raised and educated in New Jersey guy, it is with a certain sadness that I say Christie needs to go. He has elevated the much-ballyhooed NJ corrupt politics to a higher place and shames all that is good about our state. Favorite quote ” got carried away with himself”. I mean.. who else could carry him away? but I digress…Just more Jersey politics as (un) usual. This dude comes across corrupt and well informed on Crime..
Wouldn’t surprise me if he had connections to the mob. Not surprised to hear that!!! Ah, pension fund deficits. The City of San Diego knows them well. The Pension Fund Scandal (it has a name!) resulted in the resignation of the San Diego Mayor and the whole pension fund board. Unfortunately, it also resulted in a total idiot being elected as City Attorney, who did his best to destroy what was left of the pension fund. Phil, this is very interesting. Lots I didn’t know. I have to admit have been taken in by Christie’s charm! Or anit-charm. . . There just seems always a touch of truth and then lots of assumptions that may or may not be true. You sound like a wonderful, inspiring teacher. . .